This book fills that gap by vividly presenting - in their own words - the personal stories, experiences and reflections of fifteen prominent White anti-racists. They recount the circumstances that led them to undertake this work, describe key moments and insights along their journeys, and frankly admit their continuing lapses and mistakes. They make it clear that confronting oppression (including their own prejudices) - whether about race, sexual orientation, ability or other differences - is a lifelong process of learning. 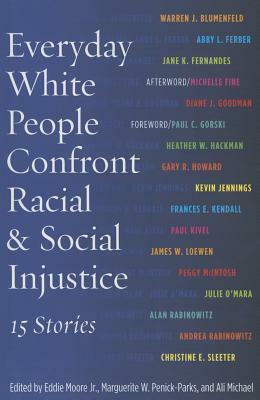 The chapters in this book are full of inspirational and lesson-rich stories about the expanding awareness of White social justice advocates and activists who grappled with their White privilege and their early socialization and decided to work against structural injustice and personal prejudice. The authors are also self-critical, questioning their motivations and commitments, and acknowledging that - as Whites and possessors of other privileged identities - they continue to benefit from White privilege even as they work against it. This is an eye-opening book for anyone who wants to understand what it means to be White and the reality of what is involved in becoming a White anti-racist and social justice advocate; is interested in the paths taken by those who have gone before; and wants to engage reflectively and critically in this difficult and important work.